Seema offers an introductory call of 15 minutes, free of charge, to those who are considering mediation and would like to get to know her and the process better. This call can help you gain a better understanding of the mediation process, assess your fit with Seema, and start organizing a process in furtherance of resolution. 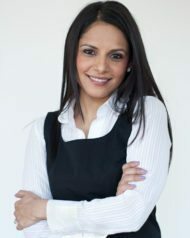 Seema Jain is an Accredited Family Law Mediator and Child Protection Mediator, Children's Lawyer, Collaborative Family Law lawyer and Family Law Arbitrator. She is also an appointed Dispute Resolution Officer at the Superior Court of Justice, who assists parties by narrowing issues and facilitating settlement before the parties meet with a judge. Seema sits on the board of directors of the Association of Family and Conciliation Courts Ontario, which is an interdisciplinary association of lawyers, mental health professionals, mediators, family law judges and other professionals working in the family justice system. Seema has over twenty years of experience mediating complex disputes. Prior to being called to the Bar in 2002, Seema completed a Masters in Social Work and worked as a social worker, family therapist and crisis worker while attending law school. Since becoming a lawyer, Seema has practised exclusively in the area of family law in Toronto. Seema is the Principal of Jain Family Law and Mediation. Seema speaks at conferences and presents to other professionals on advanced mediation topics. She regularly delivers training and presentations on a variety of topics in family law. She also provides training and supervision to those new to mediation and more advanced mediators. As a family lawyer and social worker, Seema applies both skill sets to conducting comprehensive mediations, including parenting plans and financial mediation. Seema strongly believes in mediation as a helpful method of alternative dispute resolution. By expertly tailoring the process, Seema can facilitate difficult conversations in a safe space with a respectful process that produces lasting results. Seema's experience as a family law litigator provides her with insight into court processes and the range of possible outcomes in court. At the same time, her twenty years' experience as a mediator equips her with considerable expertise in encouraging interest-based negotiation and tailoring creative solutions. One of the most rewarding aspects of mediation for Seema is helping clients reach a mutually agreeable and durable resolution which bypasses the stress, expense and antagonism of court. Seema's social work background and experience as a parenting coordinator means that Seema can recognize and manage high conflict situations. As a panel lawyer of the Office of the Children's Lawyer, Seema understands the different stages of children's needs and development and offers child-inclusive mediation. Because of her litigation background, Seema is happy to conduct either counsel-assisted mediation or mediation with clients only. It is extremely important to Seema that mediation be a worthwhile process that equips people with tools that will continue to assist them both inside and outside of her office. Seema offers a combination of skills as a mediator that promotes healthier resolutions and better future relationships.